With true intentions to acquire enormous level of client contentment and trust, we are readily immersed towards presenting a comprehensive variety of Colored Nail Paint Bottle Caps. 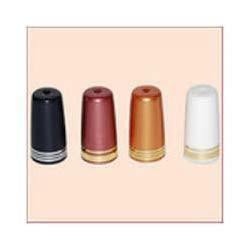 Incepted in the year 2001, Pal Plastics is a distinguished name readily instrumental in the sphere of Manufacturing and Supplying to our customers an inclusive consignment of products comprising Nail Paint Brush, Nail Paint Bottle Caps, Medical Nail Cut Caps, Applicator Paint Spoons, Applicator Paint Brushes. Fabricated with superiority, we guarantee that only finest class basic material altogether with avant-garde tools and machines is utilized in their production process. As well, the final gamut is well-tested prior its dispatch at the doorsteps of our esteemed customers. In addition, we present these products in a variety of provisions to match with our customers’ diversified requisites and demands.